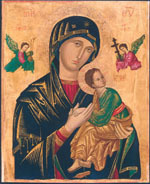 The Redemptorists » Mother of Perpetual Help, pray for us! Mother of Perpetual Help, you have been blessed and favored by God. You became not only the Mother of the Redeemer but the Mother of the redeemed as well. I come to you today as your loving child. Watch over me and take care of me. As you held the child Jesus in your loving arms so take me in your arms. Be a mother ready at every moment to help me. For God, who is mighty, has done great things for you, and God’s mercy is from age to age on those who love him. Intercede for me, dear Mother, in obtaining pardon fro my sins, love for Jesus, final perseverance, and the grace always to call upon you, Mother of Perpetual Help. Happy Feast of Our Mother of Perpetual Help! 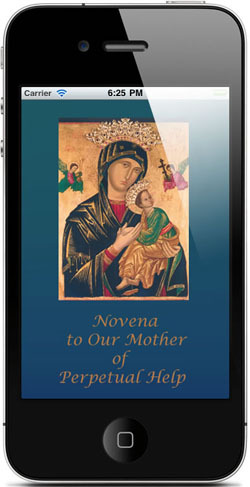 Know that you and your intentions — and all those prayers shared with us during our online novena — will be remembered today in a special way. Don’t have the app yet? You can download it here.